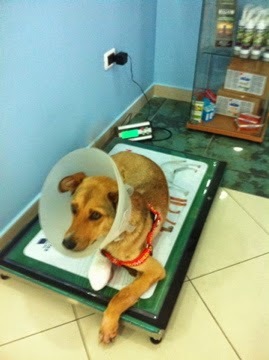 Good news, Miele gained 100 g (16,1 kg) and Erlichia was negative. 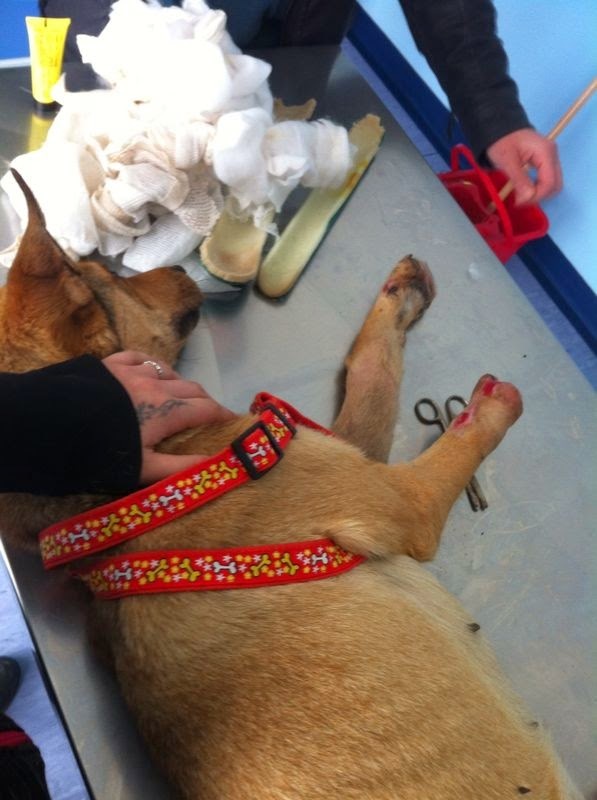 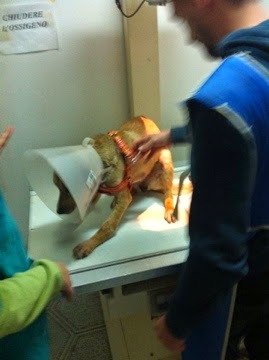 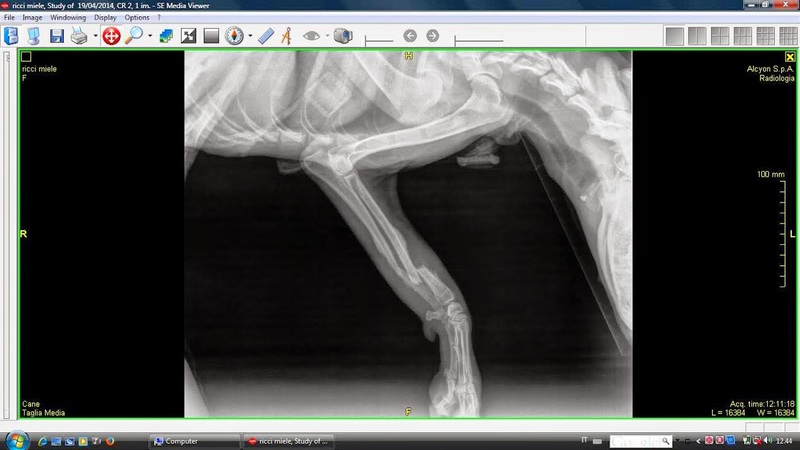 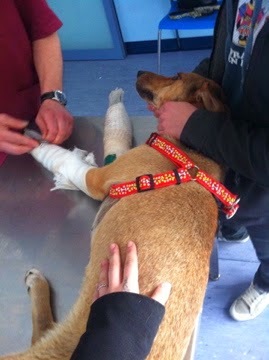 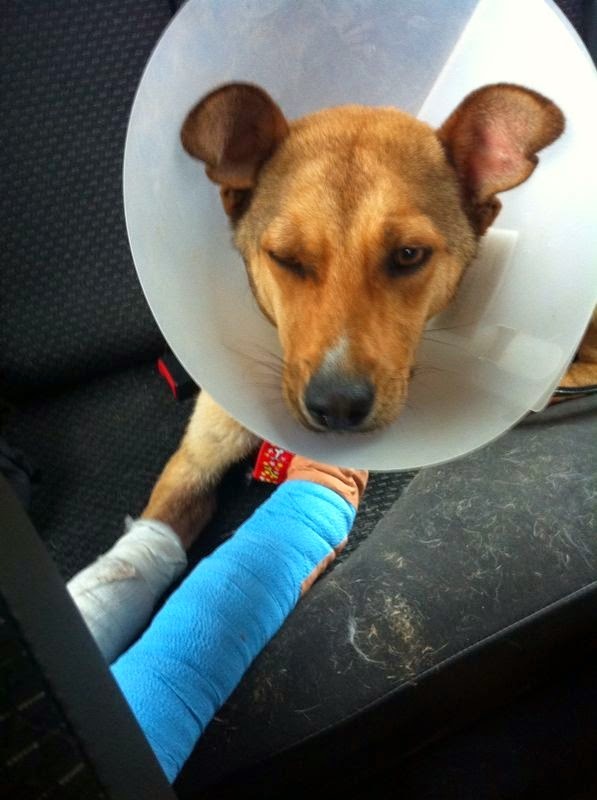 Not so good news, but we expected it; her broken leg(s) has not healed Looks like they are still completely broken. 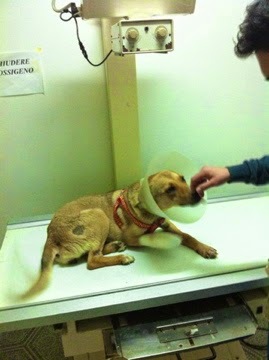 The decision to put back bandage was made to support her “leg” when she walks. 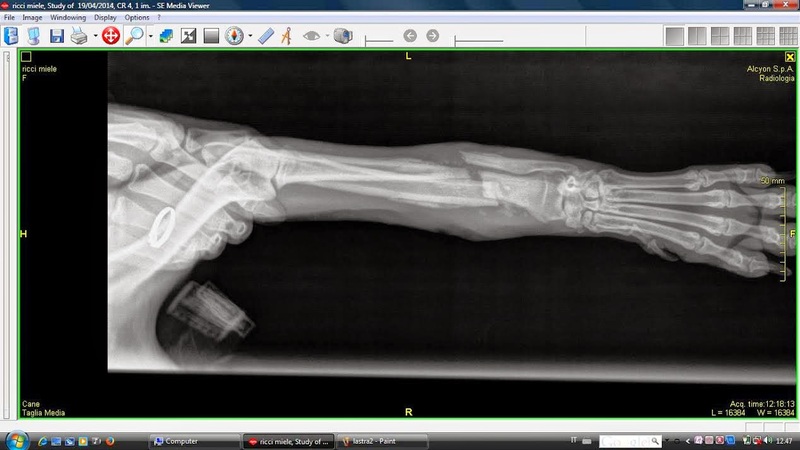 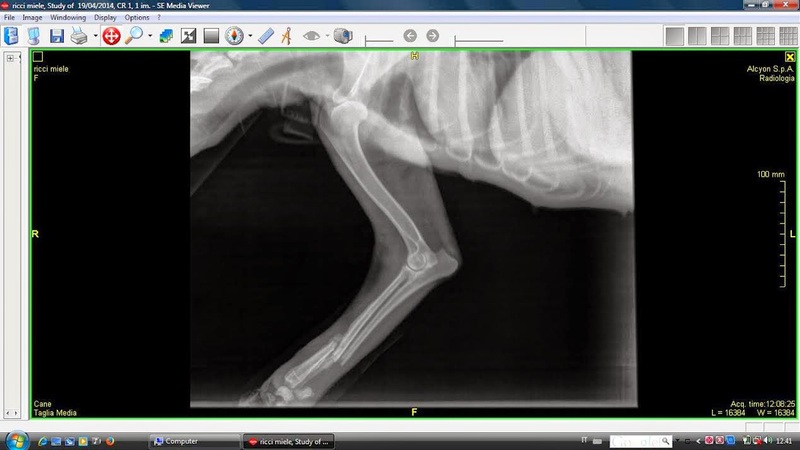 Amputation and sterilization at the same time, and then surgery to fix her broken legs.